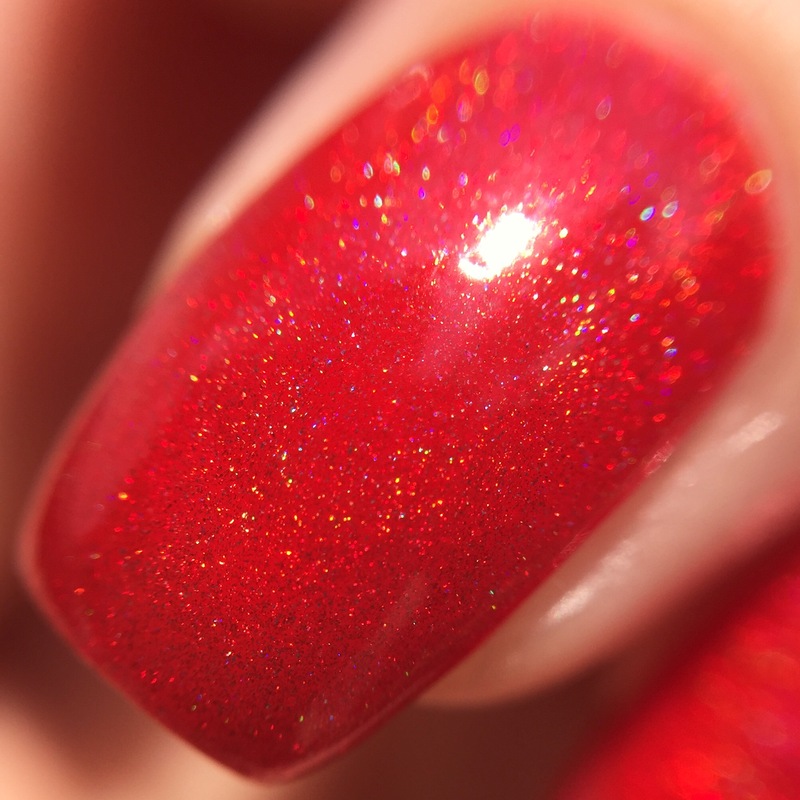 I’m on a constant search for my perfect red holo. I can’t help it- when I see one in a new collection, I immediately make a mental note that I need it. 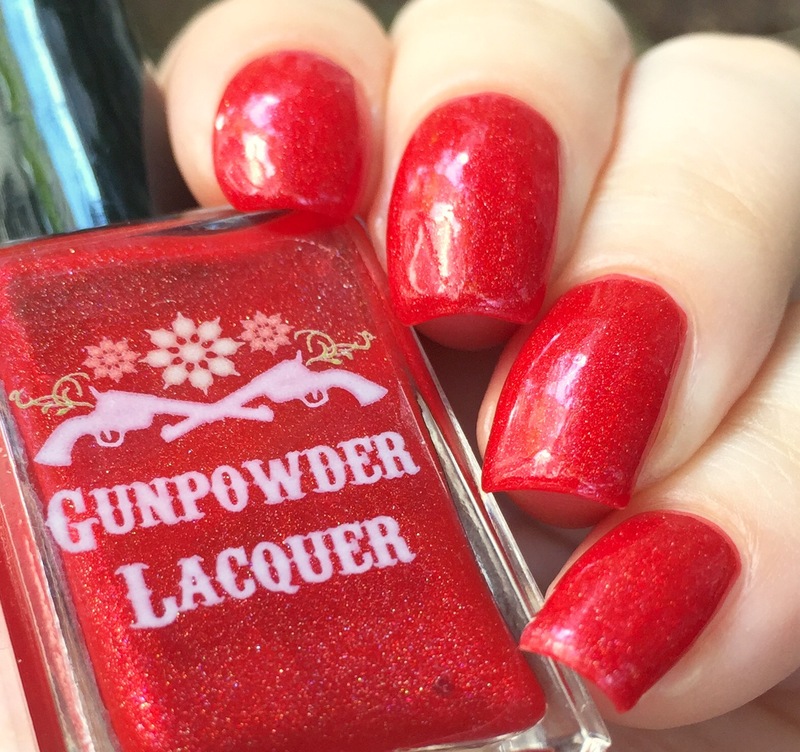 So it’s no surprise that “Little Red Wagon” called my name from the first swatches of Gunpowder Lacquer’s “Sunshine & Whiskey” collection. I love it! 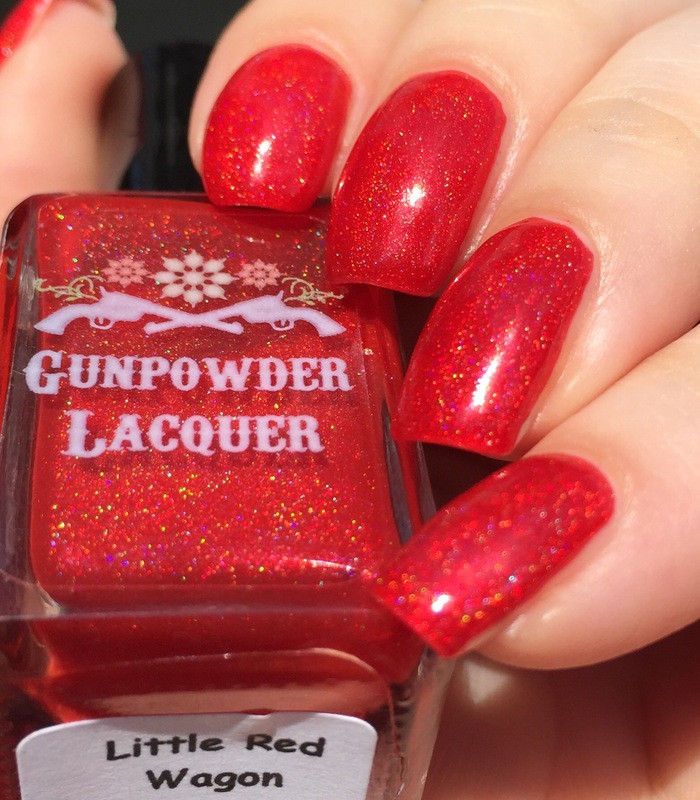 “Little Red Wagon” is the perfect warm-toned red holo for my super duper pale skin (yeah okay, I’m basically blue). I’ve also seen it look amazing on tanner people, too! The formula here is almost jelly-like and has incredible depth that really shines in the shade. (See the shade macro for the gorgeous details!) this is three thin coats with one layer of top coat. Wear for me was awesome- it survived my rough and tumble softball game with aplomb and had no problem handling all the dinner prep and obsessive hndwashing that I threw that it. I had no problem at all with removal or staining. Whew! 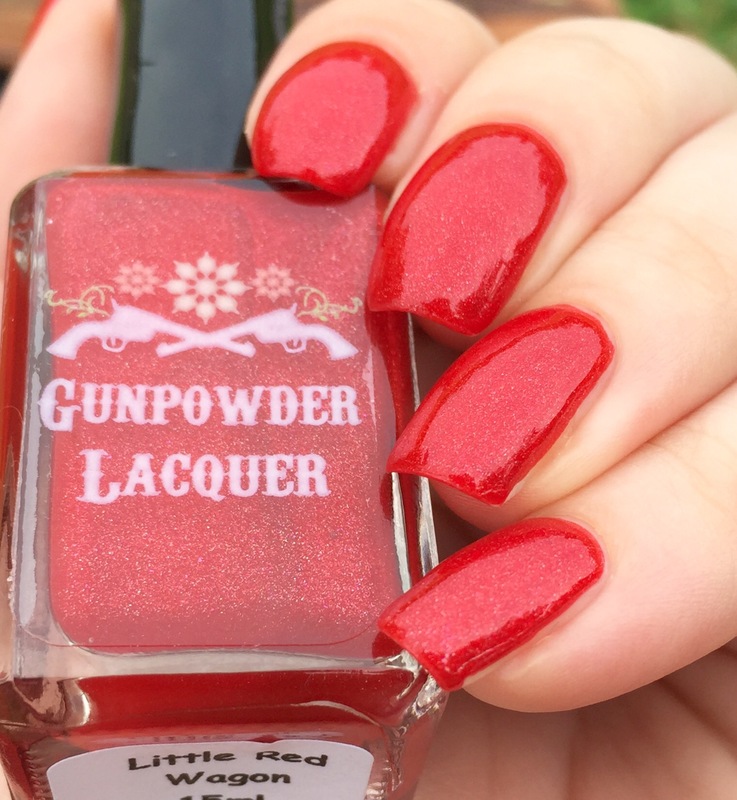 You can find “Little Red Wagon” on Gunpowder Lacquer’s website. Best of all, the whole collection is getting restocked this week (July 30th)! I reviewed another color from this brand’s first collection earlier this month (“Floatin Trailer Park,” here) and really liked it. Plus the brand’s packaging is adorable and the shipping super fast! 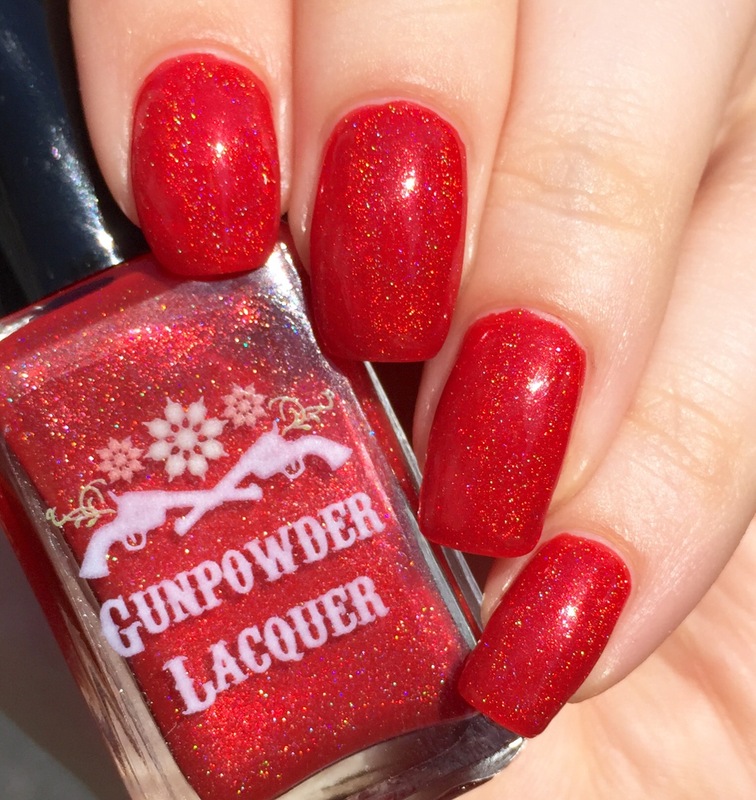 Love a good red holo! 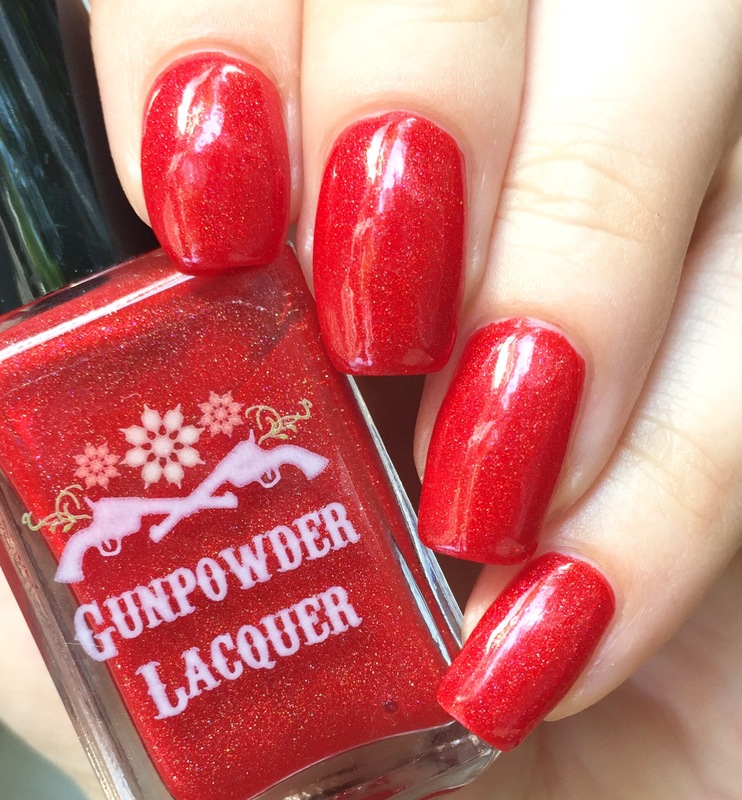 This was my very first red holo, it’s amazing!! Holy cow that is a gorgeous red! Red, jelly and Holo? Yes please!!!!! This is just such a lovely polish! 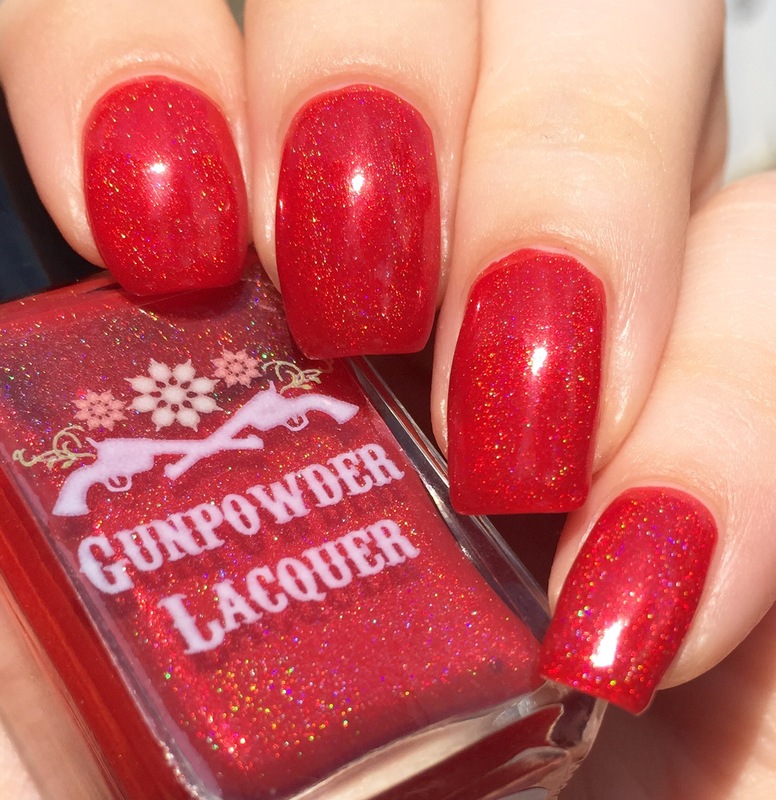 I adore red holos. Well red polishes generally! 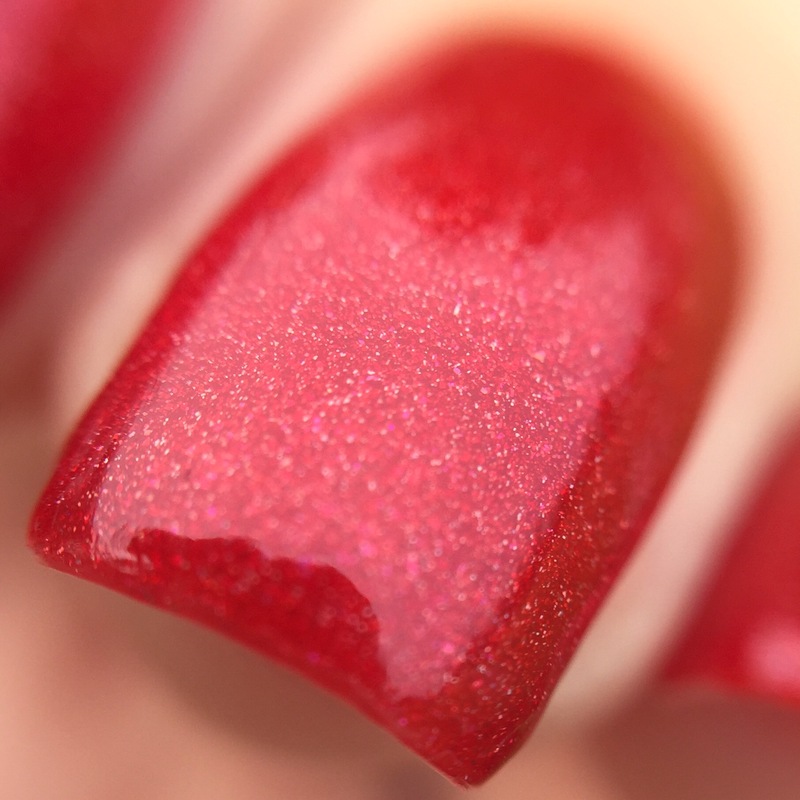 This really is a perfect red holo, love it!!! 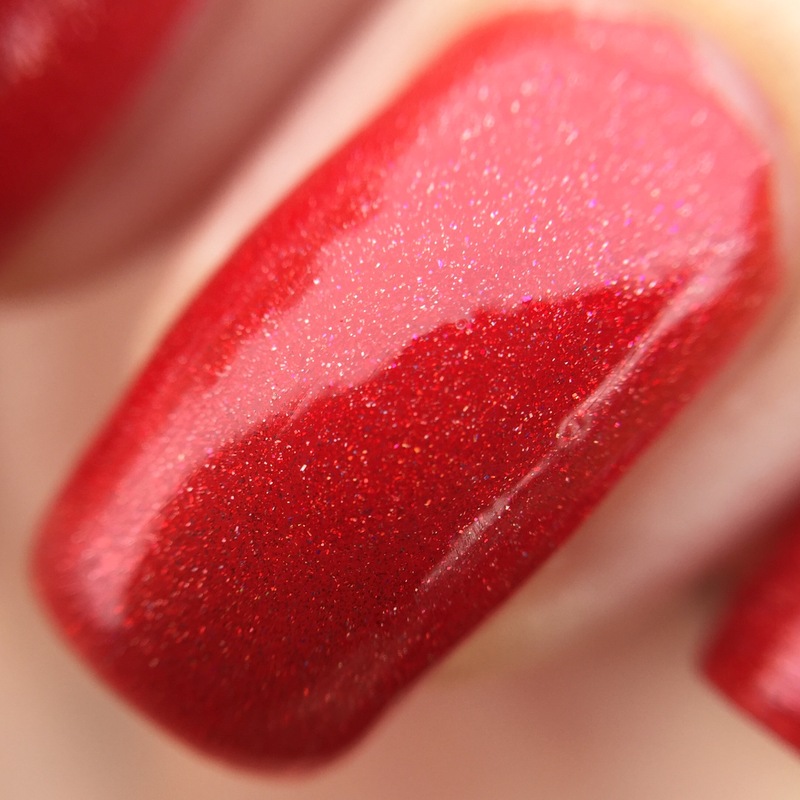 I am also on the constant search for the perfect red holo–this one is beautiful! That’s a gorgeous red and it looks great on you!